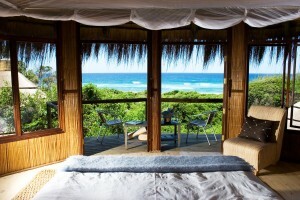 Family friendly rooms with private shower rooms opening onto deck. 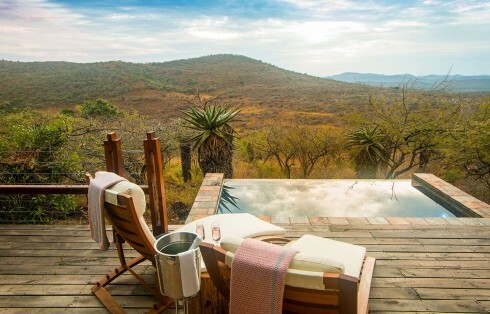 Rhino Ridge Safari Lodge offers luxury Hluhluwe game reserve accommodation with a choice of four room types: Two Honeymoon Villas nestled in the indigenous bush with private plunge pools. Eight luxury bush villas, expansive open plan bedrooms with lounge area, fireplace, mini bar, full bathroom & large viewing deck. Four Safari Rooms with private shower room leading onto deck area.Two Safari Family Suites ideal for families travelling with children. Hluhluwe iMfolozi Park is the oldest proclaimed game reserve in Southern Africa with excellent birding and home to the Big 5. 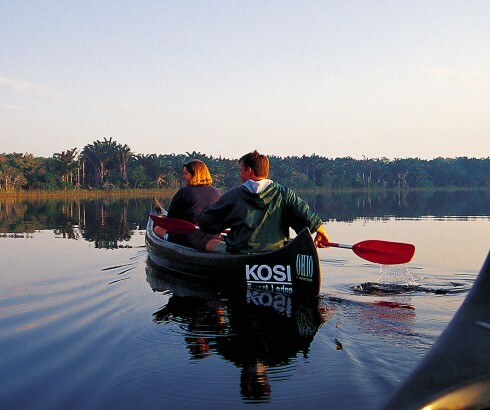 Hluhluwe iMfolozi Park spans an area of 96 000 hectares ranging from sub-tropical valleys and rivers to montagne grasslands with a huge diversity of flora and fauna. 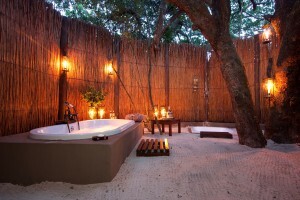 Combined with Thonga Beach Lodge, Rhino Ridge Safari Lodge makes a lovely bush & beach honeymoon. 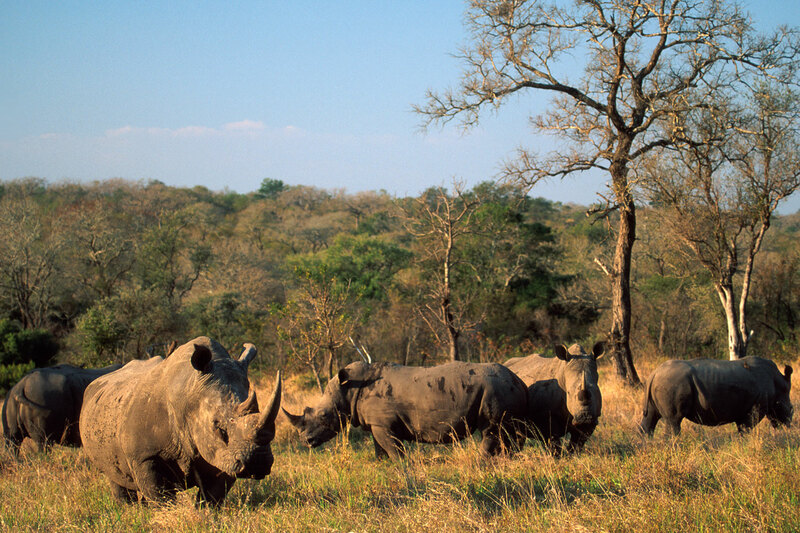 The park is best known for saving the white rhino from extinction through Operation Rhino which saved the few remaining white rhino from the brink of extinction. 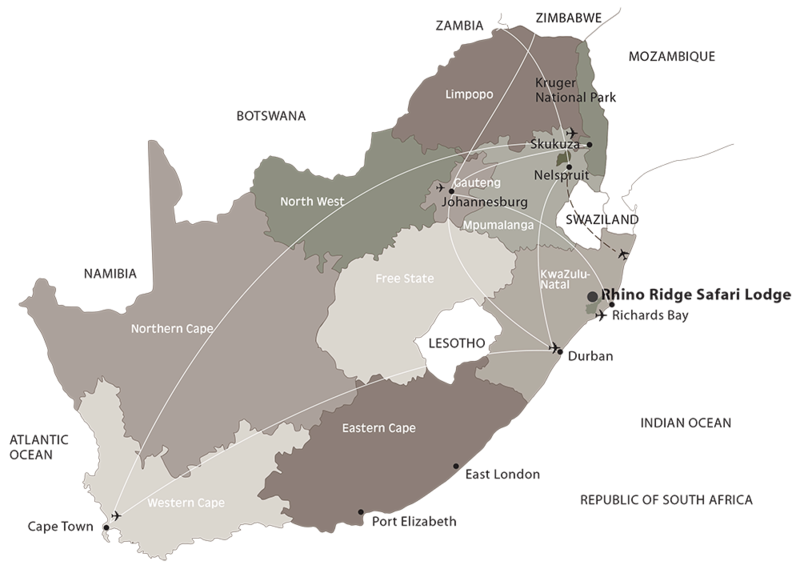 Twice daily game drives in open 4 x 4 vehicles, both on private gravel concession roads and Hluhluwe iMfolozi Park roads. 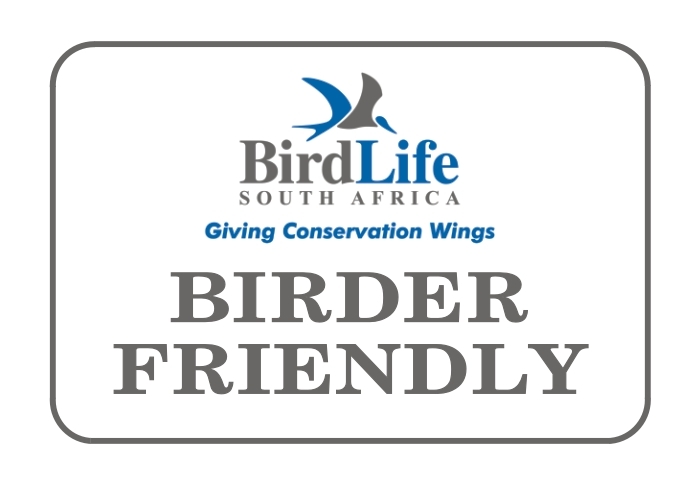 Guided bush walks available on request. 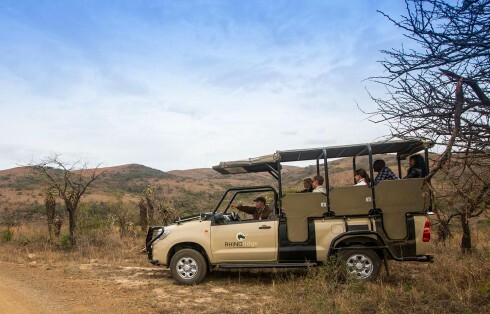 Visits into the local Mpembeni Community can be arranged at nominal cost. 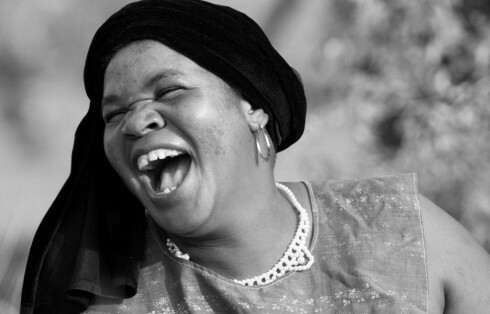 "Sangoma" visits can be arranged. 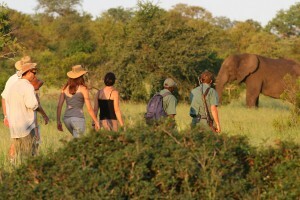 Guests can enjoy guided walks. Suitable for children 10 years and older. Additional cost applies. 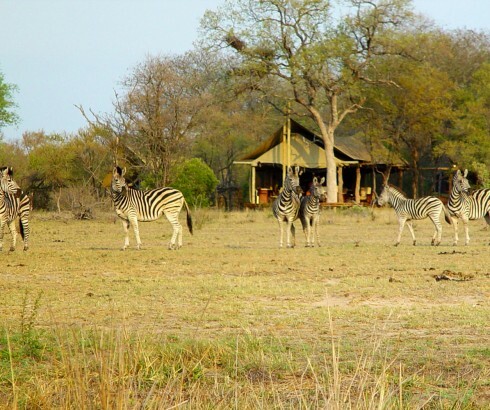 The Centenary Capture Centre & Museum situated near Nyalazi Gate are well worth a visit. 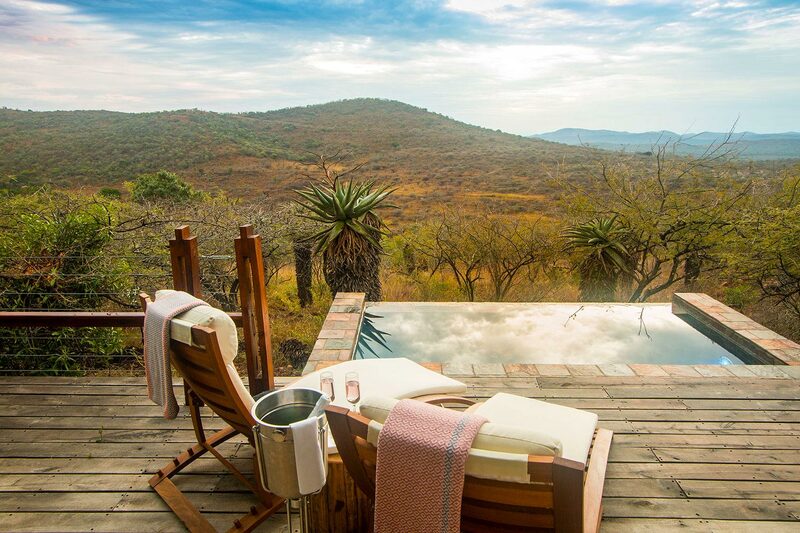 Organic Spa with magnificent views over the reserve. 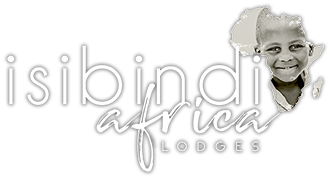 Rhino Ridge Safari Lodge, an Isibindi Africa Lodge, is fiercely committed to conservation and making a difference, a vision that was born in the African savannah. 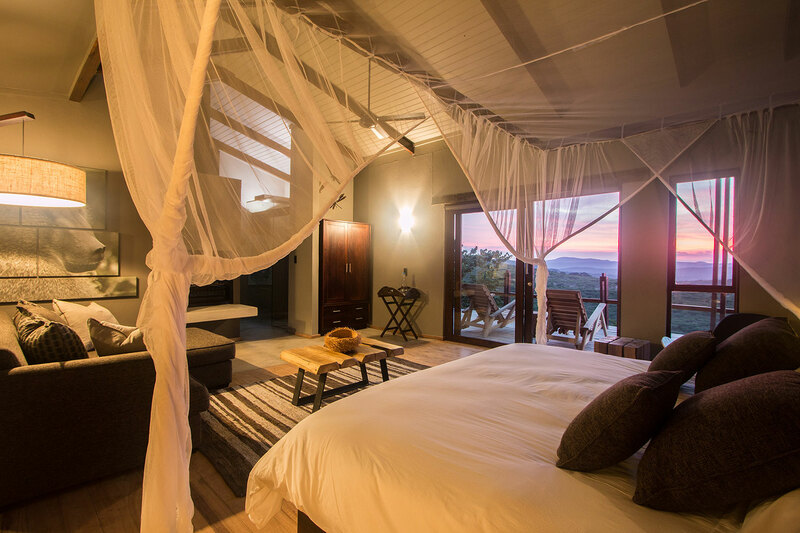 Had the most amazing stay at Rhino Ridge. The staff were very professional and incredibly nice. Kept us smiling all weekend. Lots of thanks to Progress. You made our trip ! Also definitely recommend the bush walk. Until next time. best, Peter We stayed at Rhino Ridge for two nights as a family in two Bush Villas. Rhino Ridge is a magnificent venue. Our stay was fantastic. 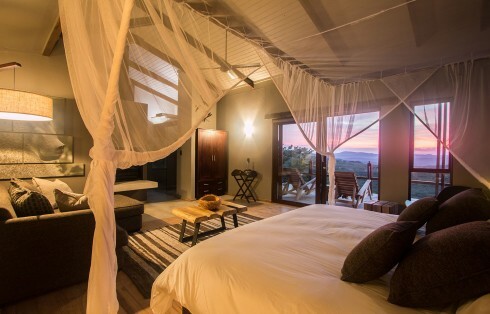 The rooms are beautiful, The setting is high on a ridge overlooking the bush. The service is outstanding. 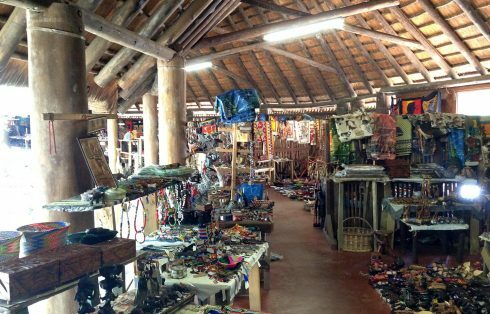 The staff are charming, friendly and thoroughly delightful. There is plenty of delicious food. All meals are part of the package. 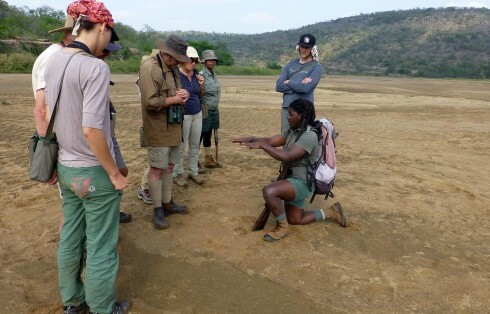 Our game ranger, Lindi, was amazing. We saw lots of game and learnt so much and had so much fun. 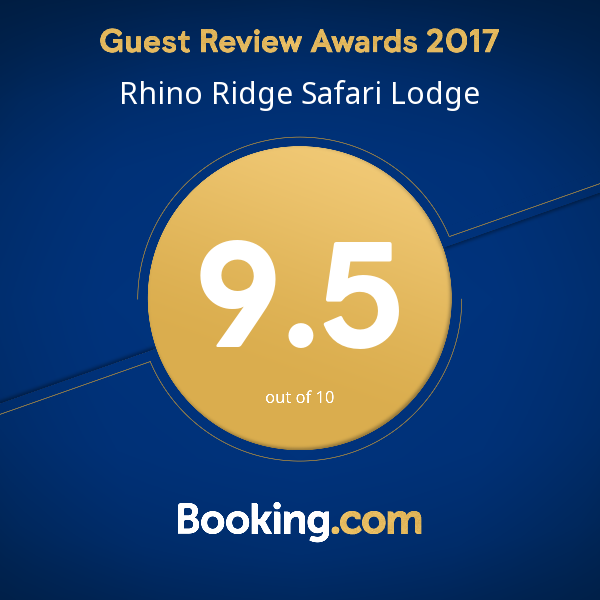 I would recommend Rhino Ridge for a great luxurious and relaxing break away to individuals, couples and families alike. We would love to go back. 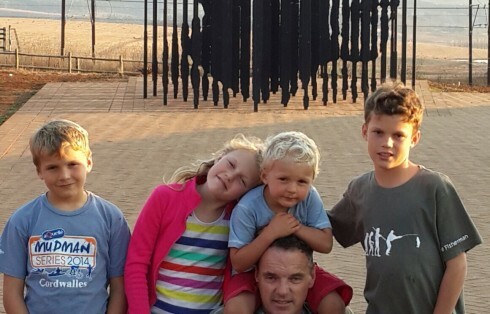 Barely entering in the park, we came across elephants, rhinos, kudus, zebras, baboons... 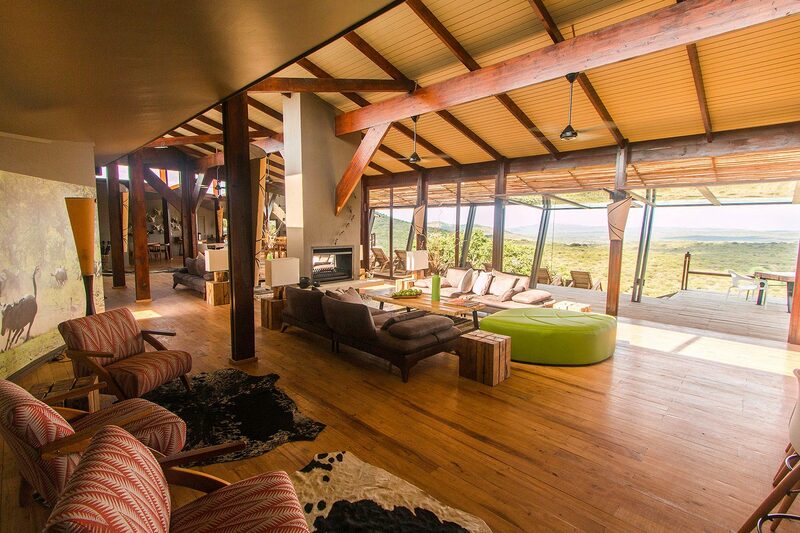 This game reserve and Rhino Ridge Lodge were the highlight of our trip in Kwazulu-Natal. WoW!! 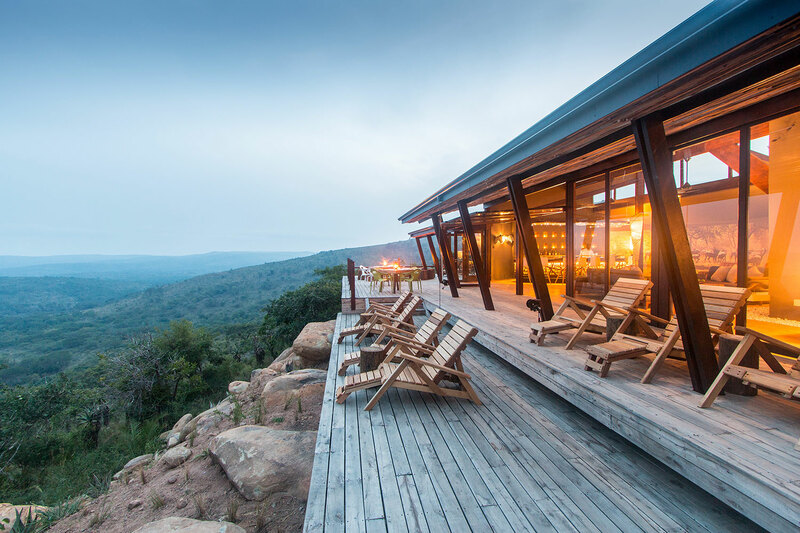 Brand new, the lodge has all that one needs to spend an amazing time in nature. 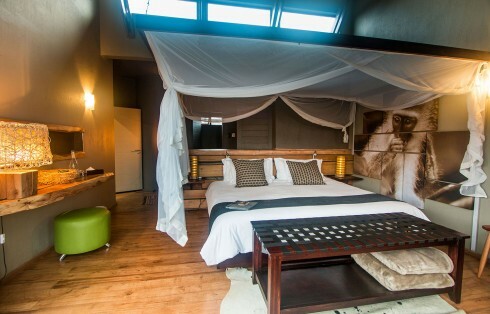 The lodge is modern, beautifully decorated. The common areas (dining and living rooms) are spacious, modern and cosy. 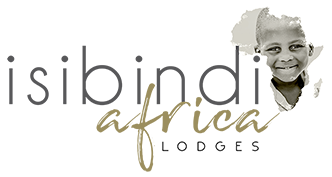 The staff was efficient, helpful and kind. Always available and welcoming. We stayed in a villa that has all the greatest comfort. 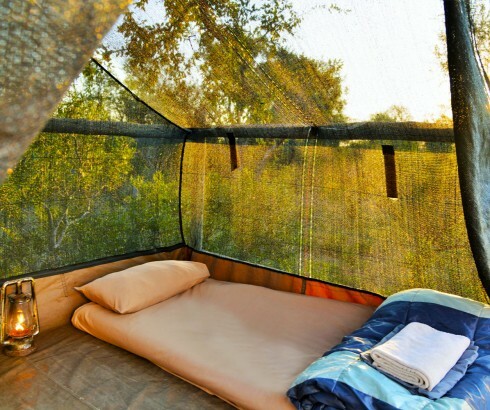 Large and comfortable beds. Beautifully decorated and modern. Very clean. 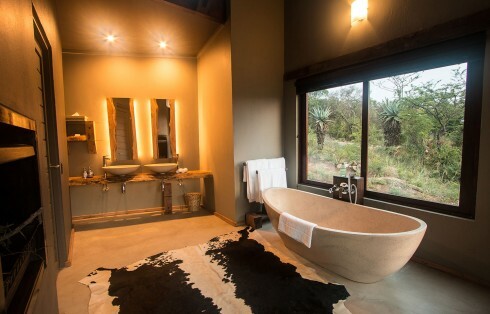 Spacious bathroom (loved the shower). Private deck with private pool and view on the park. The food was excellent: fresh and tasty. 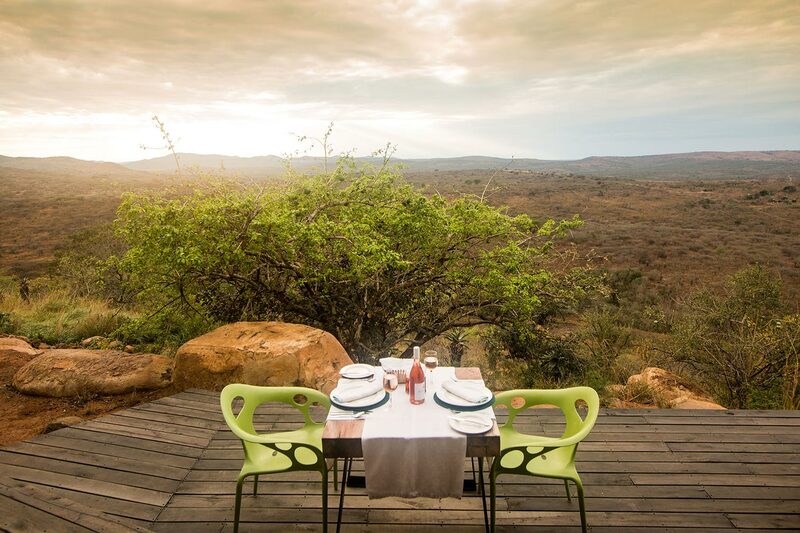 Diner in boma available. 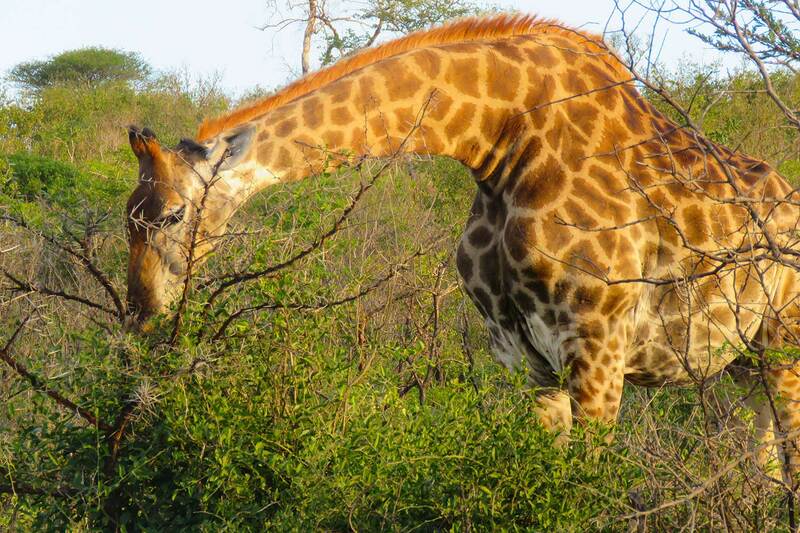 Amazing game drives (included) in the morning and in the afternoon. 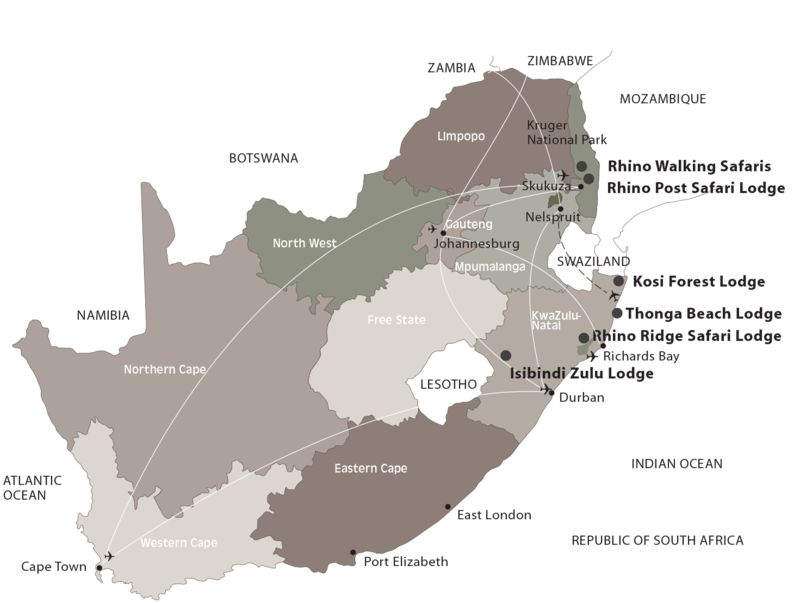 The reserve is big and diverse. 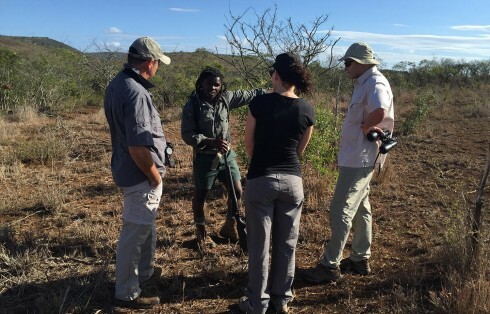 Our guides was passionate and implicated, knowledgeable, kind, and funny. We got to see amazing animals every time we went on a drive. He knew exactly where to go to have the best views on the animals. Nice initiative to have a dedicated guide for your whole stay. We learnt a lot about the region and about his culture. 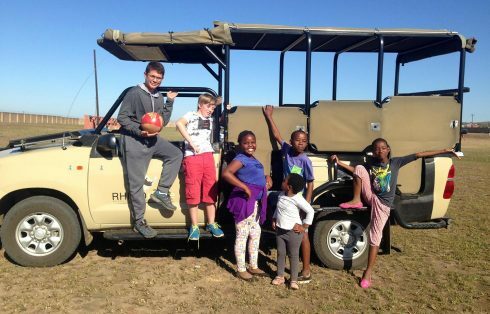 He made our safaris. 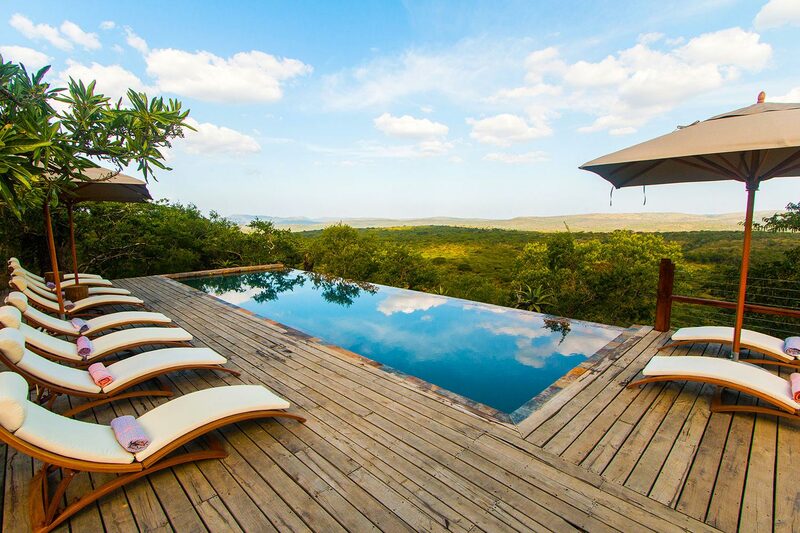 We highly recommend this lodge, if you are looking for a pure safari experience with absolute and tasteful comfort.